Abandoned bowling alley becomes furniture via Boing, Boing. I just love when people re-use materials. Check out the “bowling alley” furniture! Beyond LEED: Living Building Challenge 2.0 Certification Unveiled via Inhabitat: It seems like the building industry is trying to be greener and greener these days. It is like the Mother May I game. Mother, can I take one step forward? The Living Building Challenge is taking that new leap forward to create a new kind of green in the building industry. What are your thoughts about their approach? What is your water footprint? via reader, Jim. Our carbon footprint seems to get all the press; however no one seems to talk about our water footprint with regards to the amount of energy needed to create that gallon of water. Read on and be surprised that how much energy is consumed to create our water needs. BuildingGreen Announces 2009 Top Ten Green Building Products via GreenSource. Check out BuildingGreen 2009 top 10 products. Just to give you a little hint…Thermafiber Mineral Wool Insulation, Baltix Recycled and Biobased Office Furniture, and Rheem HP-50 Heat Pump Water Heater are some of the products that made the list. Check out why these products made the cut as well as the rest of the top ten products. Which of these top ten products are your favorites? Storing Heat in Walls with Phase-Change Materials via GreenBuildingAdvisors.com Think passive house without the stone or brick floor or wall which store the heat of the day. BASF and National Gypsum are partnering to make THERMALCore, a new thermal wallboard. Is this the wave of the future? 3 Green Building Tech Projects That Landed DOE Small Biz Grants: via Reuters. Three companies received grants to develop green building projects: Chelix’s transparent paint, which will have the same effects as a “cool roof;” KaZak’s automated process of developing structured plastic building panels; and Trinity Thermal Systems’ thermal energy system which will make air conditioning systems more efficient. So, what news do you have this week? 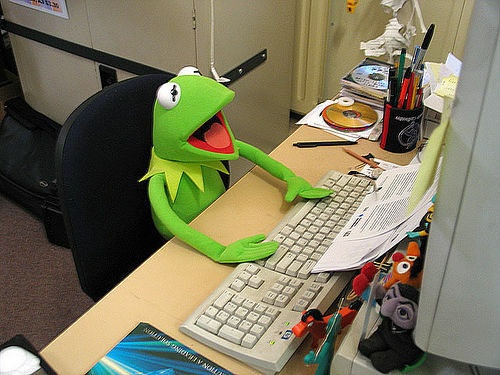 Thanks for interesting and informative post, couple of things are very new for me…….. one thing more this guy on computer in green dress (i think his name is kertik) is looking very beautiful. .-= rouademunte´s last blog ..Baile Herculane =-.